Wicked will welcome Keith Bartlett to the role of The Wonderful Wizard of Oz from Monday 30 July at London’s Apollo Victoria Theatre. Desmond Barrit will play his final performance as The Wonderful Wizard of Oz on Saturday 7 July. From Monday 9 July until Saturday 28 July, Christopher Howell will play the role. An acclaimed classical actor, Keith Bartlett will make his West End musical debut in Wicked. He previously starred in Stephen Schwartz’s musical Godspell, as John The Baptist, in Basingstoke in 1998. His many celebrated appearances with the RSC include Henry VI Parts 1, 2 & 3 and Richard III, as part of ‘The Histories’ season at Stratford-upon-Avon and The Roundhouse, The Winter’s Tale, The Tempest and Pericles. 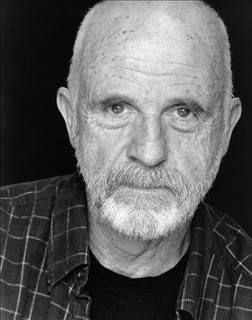 His numerous other theatre credits include, for Headlong: Romeo & Juliet; for Shakespeare’s Globe: King James Bible recital and A New World: A Life of Thomas Paine; for the Donmar Warehouse: A Lie of the Mind, The Front Page and Glengarry Glen Ross; for The National Theatre: Mary Stuart, The Crucible, Piano and Murmuring Judges, and, for Cheek by Jowl: Macbeth, Philoctetes, Twelfth Night, The Tempest and The Cid. His television and film appearances include: Silent Witness, New Tricks, The Bill and Truly Madly Deeply. Based on the novel by Gregory Maquire, Wicked has music and lyrics by Stephen Schwartz, a book by Winnie Holzman and is directed by Joe Mantello. Wicked, the smash hit West End musical now in its sixth spellbinding year at London’s Apollo Victoria Theatre, is selling tickets until Saturday 27 April 2013. Buy Wicked London GL Tickets Online.